This time of year, the shelves are overflowing with Valentine’s Day chocolates, candies and stuffies. Although they are fun to give and receive, I’ve become more practical when I choose gifts for children. I want to give something that will last a lot longer than a treat or card, so I give storybooks. Books are interactive, engaging, and loaded with illustrations that capture kids attention. Storybooks can last a lifetime and be read over and over with family and friends. Here are a few new children’s books that are inspired by love, warmth and a hug or two. They’re perfect for Valentine’s Day! 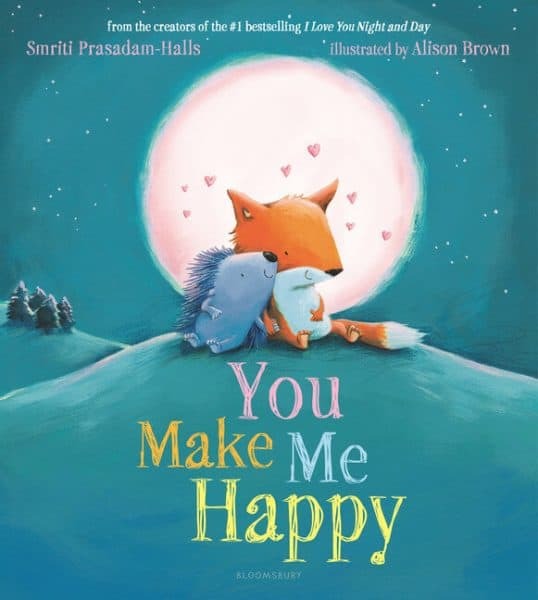 You Make Me Happy is an endearing story about two critters, a fox and a porcupine. They discovered that their days are so much brighter and happier when they are together. Written in rhyme form, the words have a lively beat that will make it enjoyable for kids to read. The beautiful colored illustrations feature the rhymes in vivid action. Each page has a pretty and playful scene that kids can explore and be part of. It’s a great storybook that shows kindness, friendship and love. 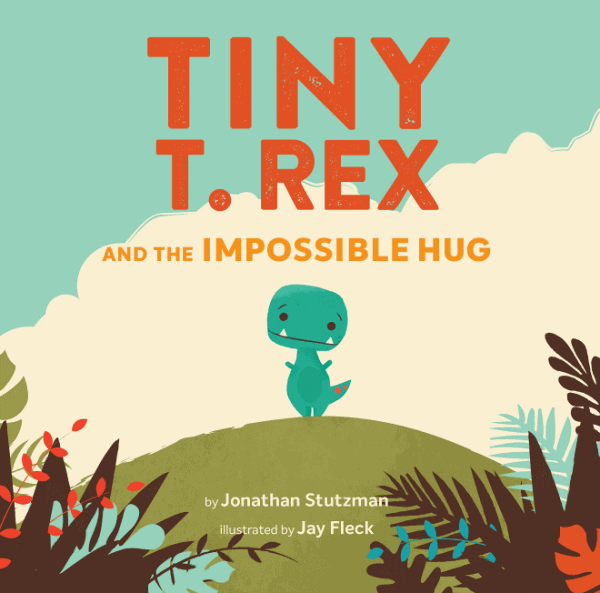 Tiny T. Rex and the Impossible Hug is about a small dinosaur that has tiny arms. His body continues to grow, but he still has tiny arms. You see his friend Pointy is sad and needs cheering up and Tiny T. Rex things a hug would help. He wants to hug Pointy but is not able to, so he goes to various members of his family asking for their advice. Most of them give unuseable advice, but his brother and sister told him he could do the impossible if he practiced. This perky little T. Rex was not going to give up and set out to practice hugging. This little book is positive, cheerful and encouraging. Kids will be inspired to try things that may seem impossible. Filled with colorful illustrations and easy to read words, children will enjoy reading this book many times. Great for the dinosaur fan in your family. 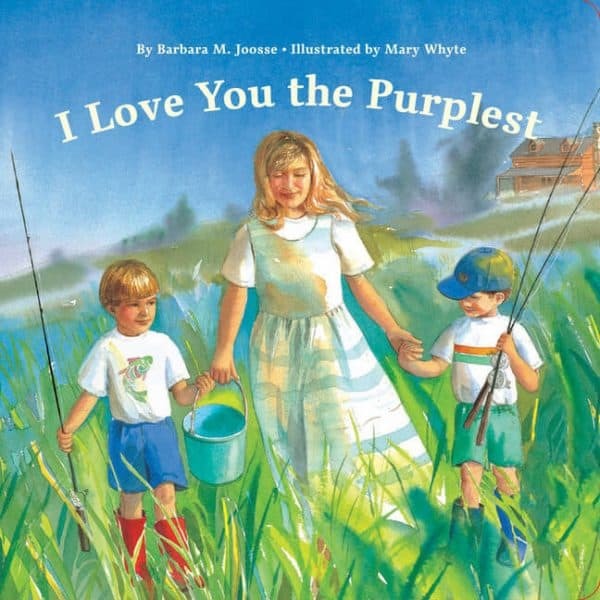 I Love You the Purplest is a heartwarming story about a mama and her two boys Max and Julian. They live out in the country in a red cabin near a lake where birds sing and the fish are aplenty. It’s a warm summer evening and the three of them set out to go fishing. As the boys dig for worms, row the boat and try to hook a fish, they always ask their mom who is the best. Mama knows just how to answer them so that they feel uniquely special and dearly loved. This board book has beautiful illustrations that look like paintings. They’re colorful and full of details that make the story even more real to children; they even feel like they are part of the story. This mama loves her two boys a lot and you can feel the genuine warmth throughout the story. Great for pre-schoolers. Disclaimer: I received product to facilitate a review. All opinions are my own, yours may differ. This post contains affiliate links. We are a participant in the Amazon Services LLC Associates Program, an affiliate advertising program designed to provide a means for us to earn fees at no cost to you, by linking to Amazon.ca, Amazon.com and affiliated sites. Adorable books, would love to win to read to the grandkids and add to our kids library! My niece Harlow would love these books. I would love to read these to my grandson. These would be nice for my granddaughter and to build up her library! I want to win for my little man to read! We could always use new books for bedtime stories for my daughter! these would be a nice gift for my granddaughter 4th birthday! She loves book! I would give these to my young nephew. I would love these for my niece! I would love to win to read these to my niece! I would like to win this prize as these books would be great for my grandchildren. I would love to win these for our Granddaughter. I have 2 small grandsons…………these books look wonderful for them! I would like to win these to read to my granddaughter. Love that these books are “inspired by love, warmth and a hug or two. ” I would love to be able to share them with the children in my life. My granddaughter loves everything about dinosaurs and always enjoys new books. I enjoy reading books with my girls. These look like books that will give us ‘all the feels!’. Thanks for the chance. My Kids love books and these look lovely. My girls would love these books! My niece would love this and her birthday is coming up! For my niece and nephew. I would love these books for my little guy. We love reading books together. I would love to win this for my nephew’s little girl. My first grandchild is due in March so I would love to win these books for him or her! My young granddaughter loves books of her own especially since she is starting to read herself now. I would love these books for my daughter’s daycare. My grandson likes to be read to before bed. I am entering for a chance to win these books for my grandkids who are 4 and 6. Would love to bring these books on my next visit to see my grandchildren. I love reading stories to them! Love to win this to gift to my grandson! My grandchildren would really enjoy these books. I would love to win these precious books for my little grandson who loves books. He would rather have books than toys. My granddaughters would love these books. Perfecct books for my two little grandsons; and they love foxes. 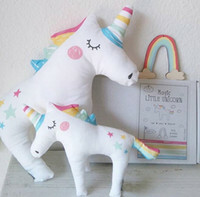 These would be perfect for my little niece and nephew. My children love to read so they would love to share these books. best Auntie ever!! my little nephews and niece love our story times together!! new books…..woohoo! Would love to read these with my kids! I’d like to win these books because my daughter’s birthday is coming up and she loves to read. I know she’d love to read these! This would be for the grandkids. My kids are big readers, and these lovely books would’ve a perfect addition to our collection! I would like to win this for my grandkids . I’d love to win this for my granddaughter she loves to read. The kids love story time, and they would love these books! Thank you for the opportunity! I’d love to win these for my little nephews. I’d love to win this to put in my library, for when the grandchildren come to visit. Storytime is our favourite! Hoping to win for my brother’s kids. Perfect Christmas or birthday gifts. I would love to win the books for my grandson. He is so into dinosaurs so I know he would love the Tiny T. Rex book!!!! Oh my two nieces would so enjoy these books and they are at the right age, both in kindergarten. I would like to win this for the little ones I babysit to enjoy. I think my grandson would love these, he loves stories. Living with my boyfriend’s family right now and his nephew is the perfect age to enjoy these! Because my kids love books and we’re very upset I didn’t send them with money for the book fair. I have two kids. We read a lot of books! I go to the library frequently! Some new books would save me a trip! I would like to donate the books to the children’s hospital books sale. Look at how cute that t-rex is! He’s practicing hugging, are you kidding me? That’s adorable.